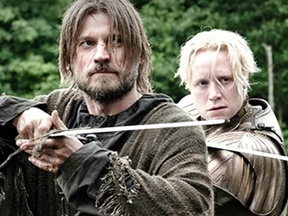 Will Brienne speak in defense of Jaime in Winterfell, on episode 2? According to the preview of the Episode 2 of season 8, upon arriving in Winterfell Jaime will be trialed by Daenerys and the Starks. 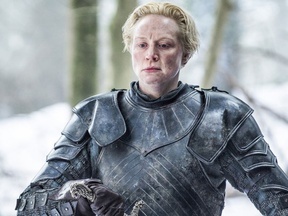 If Brienne takes part in the trial to speak in Jamie's defense, this question will be resolved as "YES".